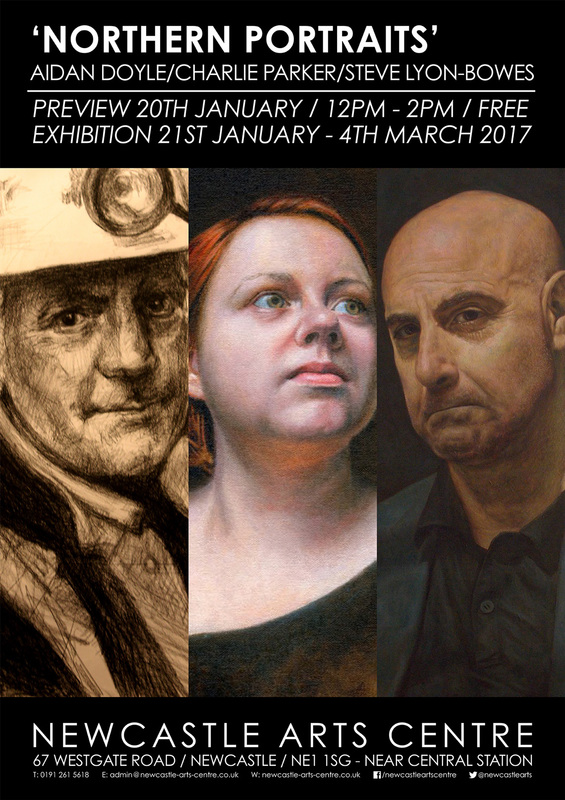 Northern Portraits, will be opening at Newcastle Arts Centre on 20th February 2017. Three artists have joined together to showcase their distinctive approaches to portraiture. The exhibition will include original pieces by local artists Aidan Doyle, Charlie Parker, and Steve Lyon-Bowes. Doyle and Lyon-Bowes are regular tutors for Newcastle Arts Centre and will be running a series of art courses following the exhibition opening. 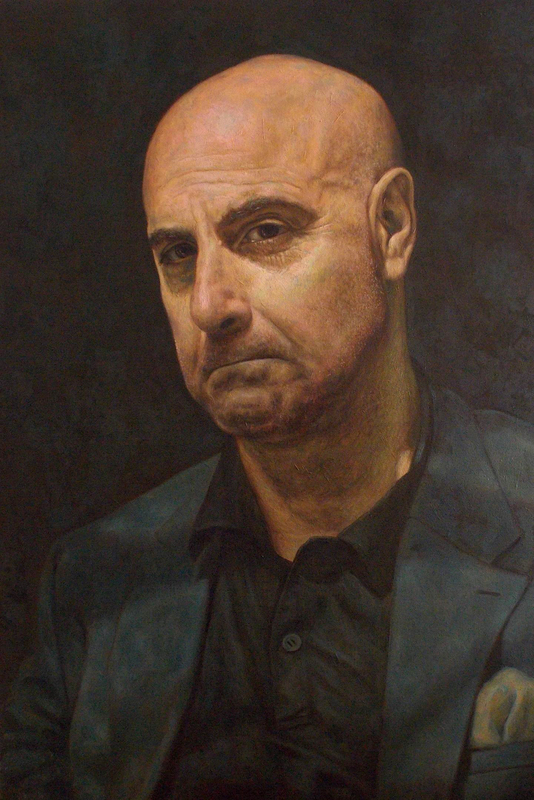 Charlie Parker’s portrait of Stanley Tucci (produced following his participation in Sky Arts Portrait Artist of the Year) has made the final round of judging for the BP Portrait Award and is to be couriered from Newcastle Arts Centre Gallery to the National Portrait Gallery in London as soon as the Northern Portraits exhibition closes on 4th March. Charlie Parker is a self-taught artist and full time CBT therapist. His academic interest in individuals and personalities, which he tackles in the mental health industry, is mirrored in his approach to portraiture. He describes the process of drawing a portrait as being ‘all about observation, and then going back to observe a different aspect of what you’ve seen’. 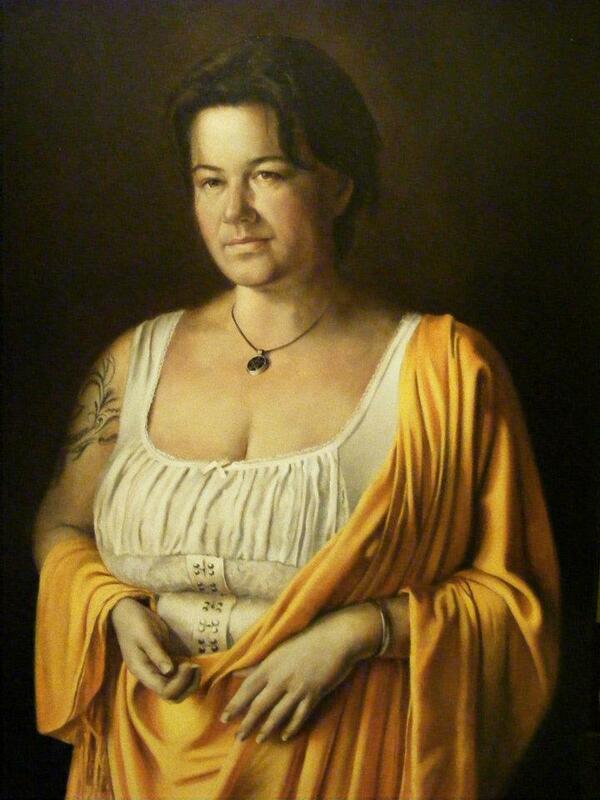 The collaborative relationships between Therapist & Patient and Artist & Sitter fall in the same category for him. When explaining the importance of building a rapport with the subject of a painting, he points to his experience as a therapist: ‘Many people may have the same condition, but how they arrive at those same symptoms is completely unique’. Charlie compares an early portrait of James Dean with his more recent painting of Stanley Tucci. Being partially colour blind, the move away from black and white marks the overcoming of a real obstacle for him, and a shift in confidence which has absolutely paid off. An artist and lecturer who has been painting to commission for over 25 years, selling his first painting at the age of 17. Inspired by the artists of the Renaissance, Baroque and Victorian era, he has work in collections worldwide, and has exhibited with the Royal Society of Portrait Painters. His subjects include landscapes, still life and figurative work, but his main subject is portraiture, which he grew to love in his teens. “Vicky Pashmina’ came about as part of a photo session I did with Vicky. I’d wanted to paint her for a while, as she’s such a local character. I came to the session with my pre-conceived ideas of what I wanted, but near the end of the session I asked her if she had any ideas she’d like to explore. She said “I’ve got one thing I like…”, and nipped out the room. When she returned, it was with the yellow pashmina. I was instantly blown away, as it looked fantastic! One of the purposes of the photo shoot was to create pictures I could practice from, to try out some methods and techniques from other artists, and to update them with references to more modern subjects. With this I instantly thought of Sir Anthony Van Dyck’s ‘Lord Wharton’, who also wore a yellow cloak, so, having researched Van Dyck’s process and techniques, I did it using these. 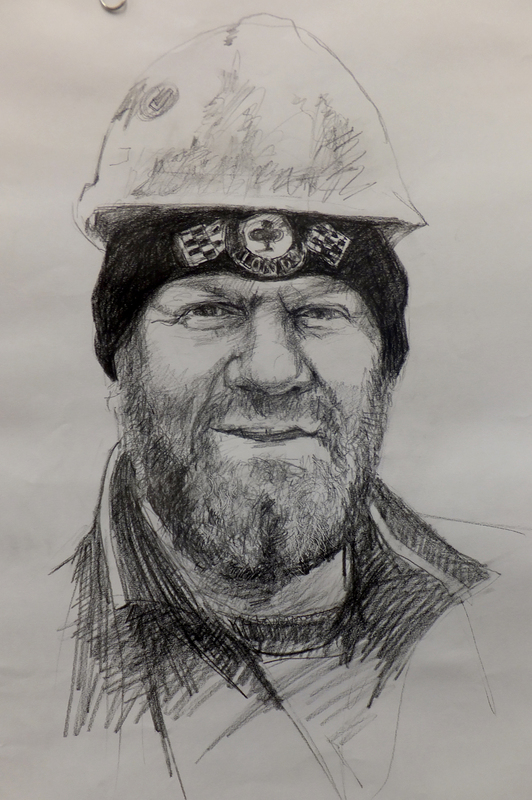 For the greater part of 2016 Aidan Doyle was working on a commission in the old and new libraries in South Shields drawing and painting staff and diverse members of the public. With the development of The Word, the National Centre for the Written Word, he was invited to make drawings and paintings of the building work in progress. He concentrated on drawing portraits of many of the workmen involved in the construction. These reflect his earlier portrait interests of ‘documentary drawing’ – particularly images of people at work. For instance, in the early `1990s he spent months recording the last deep mines in the North East. His photographs from that time are a constant source of reference for his work. Aidan said: “Sorting works from these collections for exhibition reminds me of the great sense of privilege in meeting and working alongside these people. I hope the drawings and paintings reflect the kindness shown to me by so many people throughout my working life”. Artists Aidan Doyle, Charlie Parker, and Steve Lyon-Bowes are each highly experienced in painting or drawing to commission.